Accenture, a global leader in comprehensive, integrated digital business and technology services, launches the Accenture Innovation Awards at Gitex 2017. An initiative that identifies and supports the best ideas that use technology to solve tomorrow’s problems, today. role in changing and improving aspects of people’s lives. The Accenture Innovation Awards will take place at Gitex Technology Week, where shortlisted participants will have the chance to present their ideas in front of a jury comprising of senior executives from Accenture, Expo 2020 Dubai, Fintech Hive at DIFC and Etisalat Digital. Startups from around the world have applied for the inaugural Accenture Innovation Awards. The winning start-ups will receive an all-expenses paid trip to Silicon Valley, with Accenture assisting them in investor meetings. Winners of the Fintech and Social Impact categories will win an automatic placement at the Fintech Hive Investor Day and will also be fast-tracked to the live presentation stage of Expo Live’s Innovation Impact Grant Programme, which will take place in March 2018 in Dubai. The grant programme from Expo 2020 Dubai will provide winning projects with grants of up to USD $100,000 and a chance to showcase their innovations at the next World Expo. Moreover, winners will receive access to a team of industry experts at Accenture, who will mentor, advise and counsel the winners on their businesses, including operations and client management. The winning starts-ups will also benefit from mentoring provided by leaders in the Accenture Ventures Open Innovation group, whose mission is to build a bridge between the rapidly growing supply of innovation found today within the start-up and academic communities, and the demand for that innovation from corporations, governments and organizations that serve developing regions. "As an organization, we believe that entrepreneurs are critical in realizing innovative solutions that can drive business and encourage material change. The Accenture Innovation Awards winners embody these values and expect that their ideas have the potential to make a lasting impact in the region. With the UAE government focused on nurturing entrepreneurs in their quest to building a knowledge based economy, we are committed to developing an ecosystem that supports disruptive thought in the digital space. This talent will be critical in transforming ideas into viable businesses, and will ultimately redefine the way in which we look at problems." in the Middle East and Turkey. "World Expos have always celebrated and showcased innovation. Expo 2020 Dubai aims both to follow and build on that tradition—supporting and stimulating innovation at the grass roots level, and helping people to scale up solutions with the potential to benefit others. We’re delighted to be working with Accenture—our Official Digital Services Partner—to offer regional entrepreneurs another opportunity to display their ideas and win recognition." Jitendra Kavathekar leads Accenture Open Innovation at Accenture Technology transforming technology innovation into business results for Global 2000 companies. 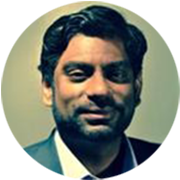 As Managing Director for Open Innovation, Jitendra leads an entrepreneurial team that engages in ecosystems of innovation globally. The goal is to help Accenture bring broad yet highly innovative and cutting-edge solutions to its clients. The Open Innovation team engages with three ecosystems: start-ups (via key venture capitalists and accelerators), universities and corporate R&D centers to identify and develop opportunities for joint innovation and commercial. activities at GITEX Technology Week 2017.